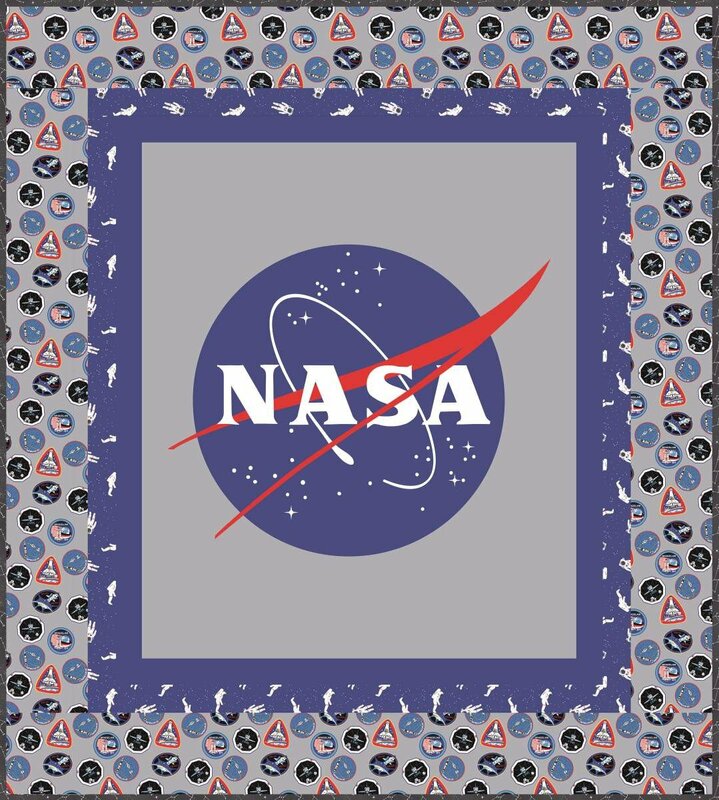 The NASA Logo Quilt Kit includes pattern and fabric for quilt top and binding. Backing not included. Fabric featured is Out of this World with NASA. Finished size is 53" x 59".